Radio Rant: Adele – Someone Like You | Ranting About Music! Hello, and welcome to Radio Rants! Adele, Adele, Adele. Her success this year has been kind of intriguing, and not just because it came out of nowhere. I can’t remember the last time an artist got this big off of virtually nothing. It’s not like her songs go for broke on crass commercialism like Katy Perry, nor is she keeping afloat with a steady stream of singles ala Lady Gaga or Rihanna. At the same time, she’s not really a one hit wonder, either; “Rolling in the Deep” is a smash hit, but 21 has had plenty of critical and commercial success itself. Compare that to LMFAO, this year’s other random hitmaker: “Party Rock Anthem” took off, but the album and rest of the singles have rightly flopped. But anyway, Adele. Despite her big year, I haven’t really felt the need to discuss her at length. I did the compulsory Radio Rant on “Rolling in the Deep”, but I haven’t listened to/reviewed 21 yet this year. Part of it is the constant exposure that pretty much everyone’s had to her, but also…I just don’t find Adele to be a compelling listen. I’m don’t go out of my way to avoid her, but I can’t find a real reason to check her out. “Someone Like You” has actually been out as a single for a good long while now. Internationally, the song’s done quite well; it beat “Born This Way” for the top spot in the UK, and was able to knock “Party Rock Anthem” off an 11 week stint at number one in Australia. It wasn’t until Adele’s showstopper performance at the VMAs this year that the song hit the Top Ten here in the States. So let’s take a listen. …aw. In two lines, the song’s gone from kind of sad to pulling at the heartstrings. And here comes the chorus. “Never mind, I’ll find someone like you/I wish nothing but the best for you too/Don’t forget me, I begged/I remember you said/Sometimes it lasts in love but sometimes it hurts instead”. Goddamnit, that’s a well-written chorus. It’s vulnerable, kind of hopeful, and faces a reality that a lot of break-up songs usually don’t face; you still see the other person and they still mean something (or a lot) to you. The song has an undeniable build to it, too. 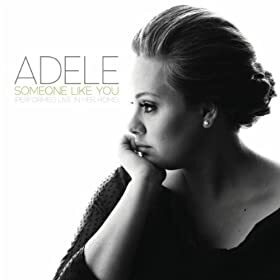 The second verse has a bit more confidence and a bit more imagery than the first, and again, the fact that Adele is a great singer puts “Someone Like You” ahead. She’s able to put so much expression into how her voice rises and falls; check how her voice starts breaking apart on “Don’t forget me”. The biggest tearjerker in the song (and probably in popular music right now) comes after the bridge. Like most songs, the bridge swells up to a final chorus, but before that finale, Adele sings a more subdued version of the chorus that makes you just want to give her a big hug. “Someone Like You” is a great rainy/bad day song. Between the simple but super effective piano part, the raw lyrics, and palpable sadness in Adele’s voice, it’s a beautifully done song sure to be butchered on American X Factor Talent Voice in the coming year. It’s kind of an odd choice as a single, but damn if it isn’t a good song. This entry was posted in Radio Rants and tagged adele, music, pop, radio, review, Someone Like You. Bookmark the permalink.